Miss Justice - Expert Motoring Lawyer defending drivers nationwide: How To Stay Safe And Have Fun On Two Wheels! 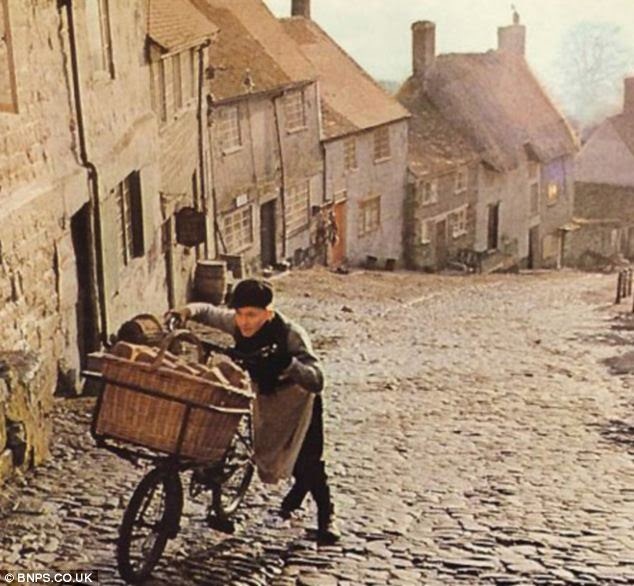 To people of a certain age, the image of a child riding their bike to school may conjour up the sounds of a brass band and images of a kid with a flat cap riding his old fashioned bike on the cobbled streets as part of a Hovis bread ad! Biking to school has, however, made a comeback since those days so much so that there is now an official week to commemorate and encourage it! Thankfully most kids these days don't have to do a bread round before school! Bike to School Week in the UK runs from 9-13 June 2014. A vast number of schools across the country are urging their pupils and teachers to dig out their bikes and cycle to and from school. Whilst there are many obvious health and environmental benefits to cycling, it is also natural that parents have their concerns about allowing their children to cycle alone due to the dangers of the road. So here at Geoffrey Miller Solicitors, whilst we are the "go to" firm for motoring law expertise, we wanted to provide parents with a quick guide to teach their children about road safety and outline a number of tips to ensure their bikes are roadworthy before this fun week begins. Once your children are aware of road safety there will be no stopping them enjoying the freedom of cycling. It is likely to increase their confidence, fitness and that extra boost of energy before school should even help them to concentrate in class. Before your child saddles up make sure they are taught the rules on road safety and their journey has been mapped out for them. It is encouraged to take your child on a few practice runs first so they know the exact route to take to and from school. They should be encouraged to ride with a friend if they can and the safer route should be taken even if it takes a few extra minutes. · Be careful at junctions and bends – always slow down and do not set off if you cannot see around a corner. You may think you are an experienced cyclist, but it can't hurt to consider this checklist before your loved ones set off next week, especially if the weather forecast is to be trusted! · Ensure no wires are rusty and the brake pads are not worn down. Cycling is an increasingly popular sport amongst kids and adults alike, especially since the success of Team Sky and the incredible Bradley Wiggins Tour de France achievements. If you are interested in reading more about motoring laws relating to cyclist, check out our cycling special blog on the confused.com website. In the meantime, have fun on those wheels!!! !